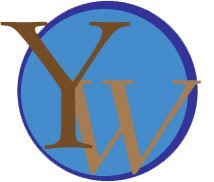 ATLANTA – The Younger Women’s Task Force (YWTF-ATL), a 501c3 charitable organization, founded earlier this year celebrates the start of programs to serve the Greater Atlanta area. An international project of the National Council for Women’s Organization (NCWO), YWTF-ATL will focus on Women’s Health, Career Mentorship, Environment, Education, and Violence in Younger Women issues among women aged 20-39. “YWTF-ATL has in incredible opportunity to organize and advocate for issues that affect younger women the most in Atlanta, including Health Care reform, career development, financial success, and violence.” said Terica Scott, YWTF-ATL Chapter Founder and Director. “I began this chapter in Atlanta because Atlanta presents an advantageous landscape to explore the women’s movement while implementing programs throughout the metro area to address the issues that affect the everyday lives of younger women most. Through the leadership of the Board of Directors and its members, YWTF-ATL will bring great change to the region,” says Scott. Membership to the organization is open to anyone who supports the mission of the organization. The chapter meets regularly on the second Saturday of the month at 1159 La Vista Rd in Atlanta. The chapter will officially launch its programs during an evening celebration event on Thursday, September 24. The event will take place in Atlanta’s Glenwood Park neighborhood at the Vino Libro restaurant located at 933 Garrett Street SE, Atlanta, Georgia 30316. For directions, please contact the restaurant at 404-624-3643.